Does the first snowfall of the season get you excited for skiing, snowboarding, snowmobiling, or even snow tubing? Each year, Washington County, adjacent to the Lake George Region, transforms into a snowy winter wonderland of fun where all of these outdoor activities and more become possibilities. If you take a trip there this winter, you will discover a variety of snowsports destinations that are worth visiting. Everyone has heard about the ski resorts of the Adirondacks, but did you know “New York’s Coolest Little Ski Area” is just a 40-minute drive from Lake George? We’re talking aboutWillard Mountain in Greenwich, the only ski resort in Washington County. Compared to other New York peaks, Willard is renowned for providing a big mountain feel in an accessible and relaxed family environment.  This is a place where everyone knows your name and visitors new and old are treated as members of the Willard family. 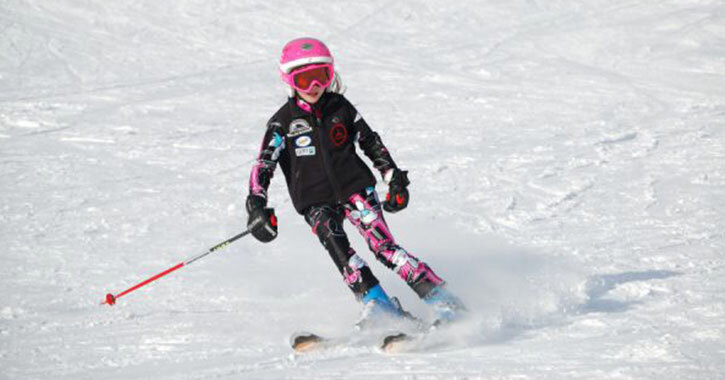 The ski resort has one base area that connects all of their activities and services, such as the learning centers, snow tubing lanes, main lodge, terrain park, and chairlifts. The mountain’s trails range in difficulty from beginner to advanced, giving skiers and snowboarders plenty of options to test their skills. You can even hit the trails under the lights for a fun night skiing/riding experience. Not only is Willard Mountain a major ski and snowboard destination, but the resort is a top place for family-friendly snow tubing in the North Country. Located at the base of the mountain, the snow tubing park features a tubing lift, multiple tubing lanes, and a lodge where you can purchase lift tickets and grab a bite to eat. 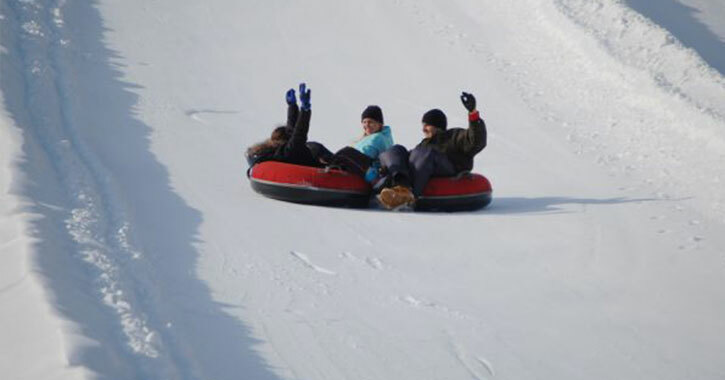 Snow tubing is an exhilarating activity and the perfect alternative to skiing and snowboarding. Family and friends can enjoy the easy ride up the lift and the thrill of zooming downhill on a snow tube. 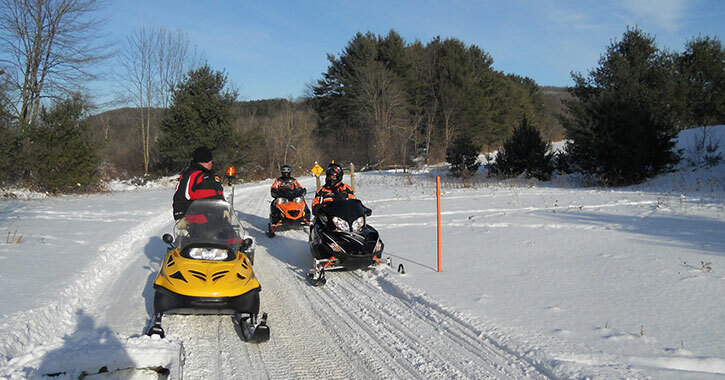 After a heavy winter snowfall in the Lake George Region, you can always expect to hear snowmobiles as riders head out on the trails. There are hundreds of miles of snowmobile trails spread across the North Country, but some of the best are located in the rolling hills and picturesque farmland of Washington County. From Greenwich to Fort Ann and Granville, local snowmobile clubs groom and manage many of the county’s trails. You can contact the clubs for up-to-date trail conditions, or visit a snowmobile rest stop and meet fellow riders. 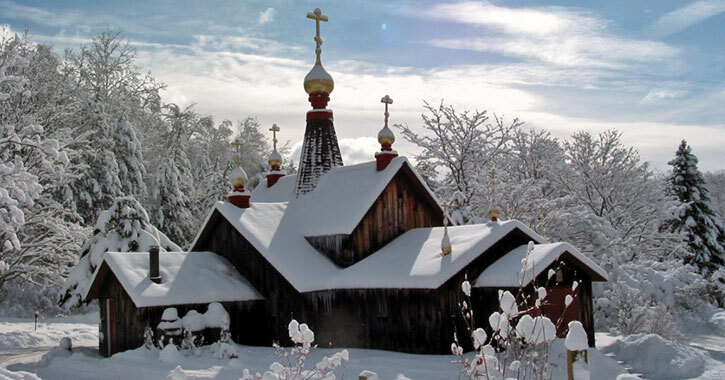 During winter, one of the most unique places you can go snowshoeing is the hiking trail at New Skete Monasteries in Cambridge. The churches, gardens, bell tower, and trail at New Skete are open for self-guided tours from Tuesday through Sunday year round (grounds are closed for community retreats, which usually take place from mid-August to mid-September and in February). The 1.23-mile trail loop is an excellent choice for a peaceful winter hiking or snowshoeing excursion in a scenic location. Just remember to let a staff member or monk know you’re entering the trail. 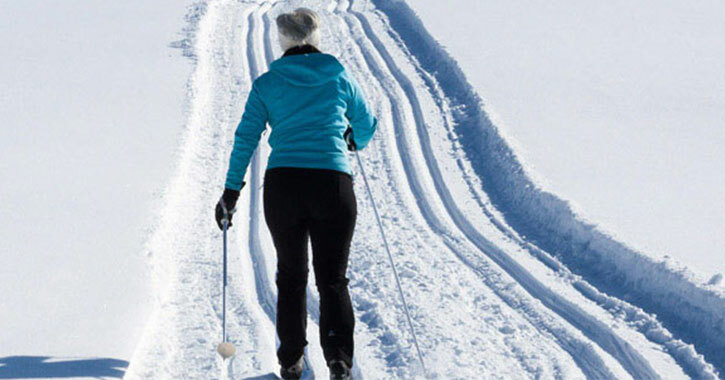 A great way to combine fun and fitness is by going cross-country skiing across snow-covered terrain. While there are some local Nordic centers you must pay to access, you will also find trails that are free for cross-country skiers to explore at their leisure. Here in the North Country, two places you may not have thought of as cross-country ski sites are the Feeder Canal Towpath Trail and the Delaware and Hudson Rail-Trail. Beginning at the Feeder Dam in Queensbury and ending at Mullen Park in Fort Edward, the Feeder Canal Towpath Trail is nine miles long and follows alongside the historic canal. The trail is open for walking, running, and biking throughout the warmer months, and cross-country skiing and snowshoeing in winter. Near the border of Washington County and Vermont, the Delaware and Hudson Rail-Trail is another option for free cross-country skiing and snowshoeing. The northern section mostly travels through Vermont while the southern section brings travelers through Middle Granville, Granville, and then across the Vermont border. Granville’s Slate Valley Museum is a block away from one of the main trailheads. Sometimes the best way to cure your cabin fever in winter is by gearing up for a trip through beautiful forests and nature preserves. These sites offer an escape from the stress of everyday life and are perfect for snowshoeing and cross-country skiing too. Get back to nature and check out these four forests and preserves in Washington County. These two state forests are next to each other in the Towns of Jackson and White Creek, and both are open year round for recreational activities, such as hiking, mountain biking, snowshoeing, and cross-country skiing. The Folded Rock Trail travels through both forests and ends at a scenic vantage point. The 2,471-acre Saddles State Forest is a large state-owned property and an ideal setting for hiking, snowshoeing, and cross-country skiing in the wilderness. There is a designated parking area in Whitehall near the Champlain Beef facility. Be sure to plan ahead, as there are no marked trails in Saddles State Forest for these activities. Owned and managed by the Pember Library and Museum, the Pember Nature Preserve features 125 acres of forest, wetland, and fields near Black Creek. The nature preserve is eight miles south of Granville on Route 22, and there are eight trails open to the public year round from dawn to dusk. Snowshoes are recommended during winter, and you can pick up a trail map at the preserve’s trailheads and the Pember Library and Museum. Gull Bay Preserve in the Town of Putnam is a woodland hillside property that is owned by the Lake George Land Conservancy. There are multiple marked trails throughout the preserve that visitors can hike along year round. 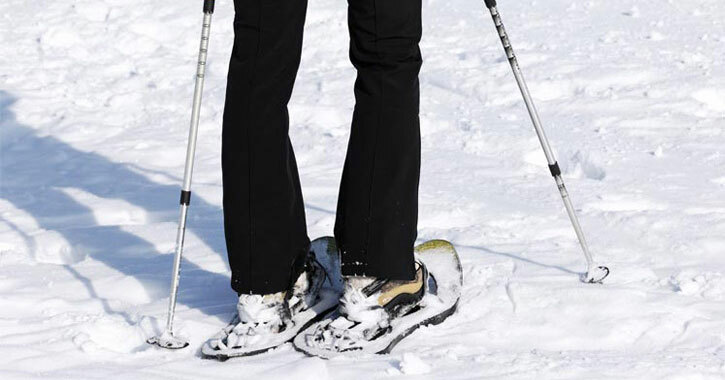 When snow falls in winter, you can try snowshoeing and cross-country skiing on the trail network. Now that you’ve learned about some of the best destinations for snowsports near the Lake George area, it’s time to go outside and make new memories this winter. Pick a place that appeals to you and enjoy the snow!